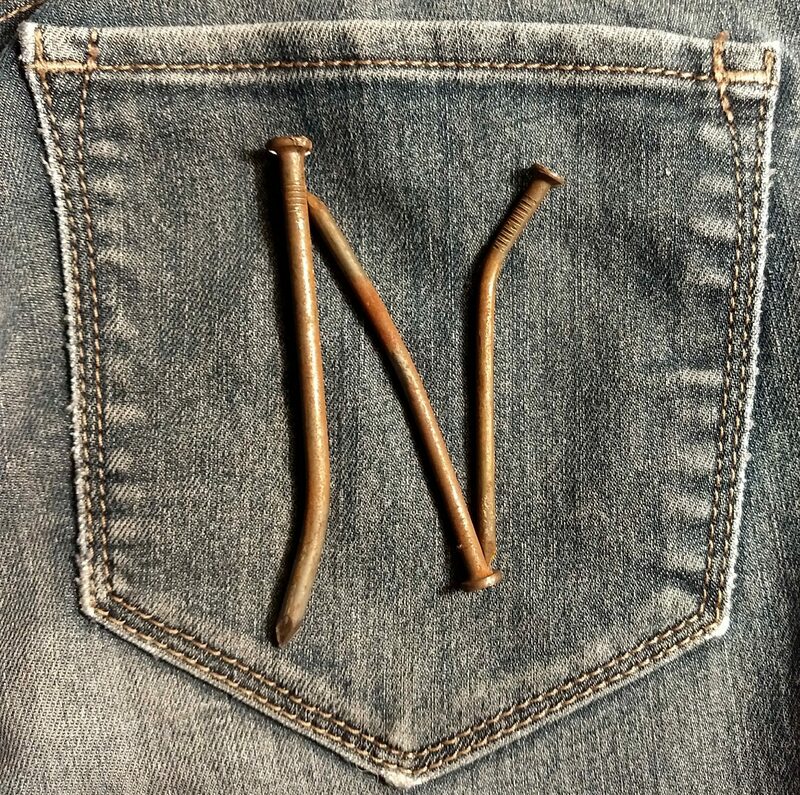 While we were working on the roof, Les says, “I forgot my belt to hold nails!” It can be problematic getting nails out of your pocket or keep in your hand when you’re holding on for dear life! Here is my answer . . . fold the nails up in your t-shirt & hope they don’t fall loose. The problem is, the t-shirt can unfold easily. I thought about it for a few minutes and came up with a great answer to this dilemma. I used my extra hair-clip, twisted my t-shirt and clipped it. Worked like a charm. Easy to grab nails, hair-clip held all day. OK guys, you can do this too, use a rubber-band, paperclip or small clamp. whatever makes your testosterone level rise. I never expected I’d ever do roofing. I think it was good to face such extreme fear. But I’ll be happy to stay on the ground for a bit!! !